I have never, ever, ever, ever heard anyone say that they were looking forward to being ‘onboarded’. But now I’ve had a rant I wanted to thank Ramaa Ramesh for commenting on one of my older blogs. Ramaa pointed out that we don’t often treat people like OUR success depends upon them. It’s a subtle but important mindset that involves more ownership and thinking. If your success as an organisation is vested in and dependent on the success of your new starters then how would you do things differently? Would you ‘onboard’ them or would you do your level best to work with and support them to ensure that they make a great and productive start to their new role? 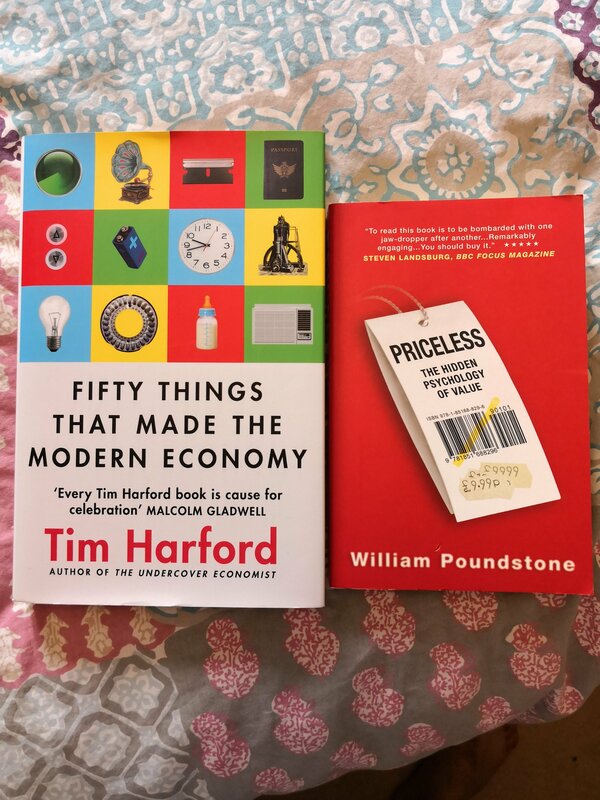 Hat tip once again to Tim Harford’s Fifty Things That Made The Modern Economy (onboarding wasn’t one of them). And yes, I pressed publish on purpose this time. Sorry once again if you are a regular reader. November 25, 2017 November 25, 2017 by daviddsouza180Leave a Comment on Sorry. Apologies – and have a good weekend. November 25, 2017 January 19, 2018 by daviddsouza1801 Comment on What is democratic leadership? In these days of conversation about how democratic an organisation could/should be I think it’s worth considering the above. That democracy isn’t a straight vote on every topic, but the choice of representation – not always possible in organisations. I like Burke’s point that popular and right are not always in alignment – and that the MP/leader has an accountability to do what they believe to be right. In business, as well as in politics, there is an imbalance in the distribution of information and leaders need conviction as well as the ability to listen. Leading involves decision making and clarity. Leading involves both being being able to resist the wish to be popular AND the humility to understand you are not always right. It’s a tough pair of challenges to reconcile. In any change there is a requirement of the leader to understand their part in it – what they believe and what they are influencing. How they are bringing the best possible future into a position where it is the most likely. It’s a tricky balance. Which wins out of right and popular? Which should win? How often do you get to be both together? My guess is leaders don’t often reflect enough on these trade offs. The best I’ve seen create a trust that the path they advocate is the right one. I imagine that is also their Achilles Heel too. It’s complex.